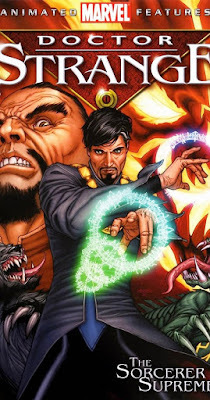 Doctor Strange is the fourth DVD title from Lions Gate and Marvel Comics, and actually in my opinion, the best so far. So far with the two "Ultimate Avengers" DVDs and the "Invincible Iron Man" one, the creators in charge have taken some unnecessary liberties with characters' backgrounds personalities and such from the original source material. This one is no different but here the changes only serve to enhance. The writing by Greg Johnson is superb and the animation is dazzling, just right for this sub-genre of superhero adventure. 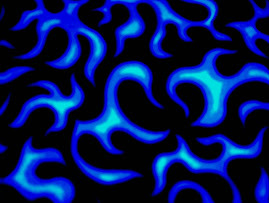 Johnson explores the pre-sorcerer Strange and his what-a-dickiness and the downfall that eventually brings him back as a better person, and hero. I enjoyed the backstory of longtime Strange foe Baron Mordo and the extra characterization and purpose lent to manservant Wong. The redesign of Strange's outfit is welcome leaning more toward subtle and practical which I didn't mind. Dormammu did bug me however, I think he's more scary in the comics, an image that would have been truly frightening animated. Oh well, I guess you can't win 'em all. This is a must-see for comics fans, and an accessible 'toon for the non-comics folks as well, enjoy! "The New Master of Evil"